The 15th annual Hockey Canada Foundation Gala & Golf hit the city of London on June 18, 2018. This year's Gala dinner celebrated Canada's rich hockey history, the 2018 Order of Hockey in Canada honourees and any 2018 Olympic- and world championship winning teams. The gala was composed of of special tributes to our Canadian traditions and celebrated the international success of the game we all know so well. "Hockey is about more than learning how to pass, shoot, and block shots; it’s about all of the life-lessons players, coaches, and officials take away from the game and apply to all aspects of their lives,” said Renney. “I believe that the character traits developed through participation in sport and organized activity – and hockey in particular – are what make us great citizens, and admired by countries around the world. So it’s very important for Hockey Canada to see an event like Gala & Golf hosted in cities across the country, where those communities can identify meaningful legacies that continue to grow the game for years to come." The Gala and Golf event was a success that brought many hockey lovers, athletes, and listeners together for a good cause. 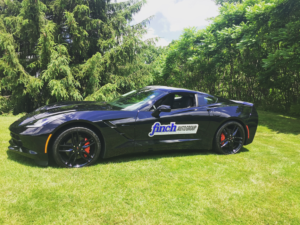 Finch Auto Group was the proud "Technology" sponsor at the Gala and the following day, Finch Chevrolet Cadillac Buick GMC hosted two hole'n ones for the golf tournament. 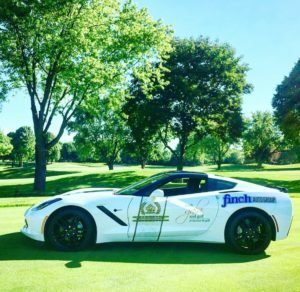 We have a Corvette on a hole at both Redtail and The London Hunt Club. Ryan Finch and the London Committee did an amazing job bringing this event to London and ensuring it's success.